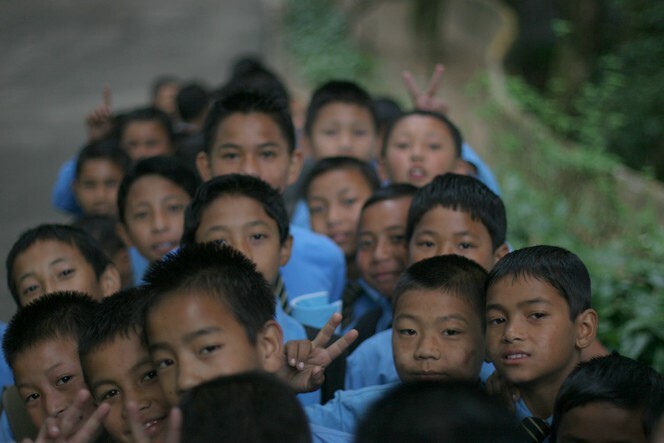 When I left Darjeeling in October, it didn’t seem to sadden these school children in the slightest, and they had fun clowning around while I took a photo of them. This image of happy children is a good reflection of my feelings as we finish the year on a high note. I hope you enjoy the celebrations. I have no more regrets about leaving 2011 behind me than these kids had at seeing me depart for the valley. I welcome 2012 with open arms, as they will do when I return to see them next time. It only remains for me to choose the tea on which to end the year. After the meal I’m serving on New Year’s Eve, I think I’ll make my guests a mint tea, known for its digestive properties and as a symbol of hospitality. 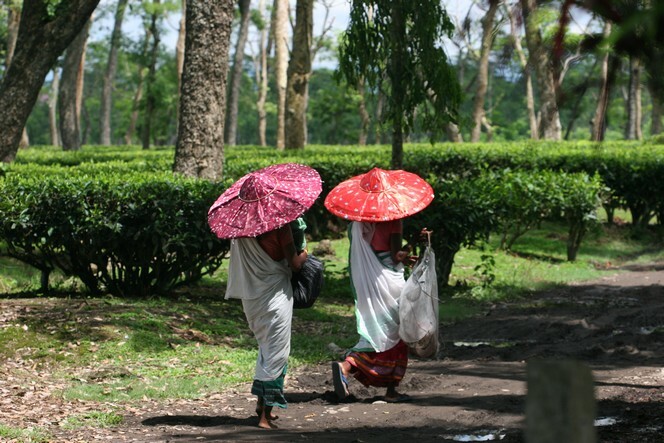 As we walk the final stretch of the path together in 2011, I want to show you this photo of two tea pluckers in the Assam region who are returning home to their village after work. I think the sight of these women protecting themselves from the sun’s rays beneath their pretty parasols brings a touch of warmth to our grey winter. In this season, Paris lacks bright colours. Apart from the inevitable Father Christmas here and there outside the department stores, you don’t see much red. So it’s funny to think that somewhere else on this earth, people are taking care to protect themselves from the sun, while here, the slightest ray of sun makes us close our eyes and purr like cats. Red is also the colour of some chillies, so I’ll take this opportunity to tell those who’ve never tasted Assam teas that they develop subtle notes of tobacco, honey and also… spices. I am well aware that at the moment, everyone is looking forward to the imminent arrival of a certain somebody dressed in red and bearing a sack filled with wonderful things. I truly understand! 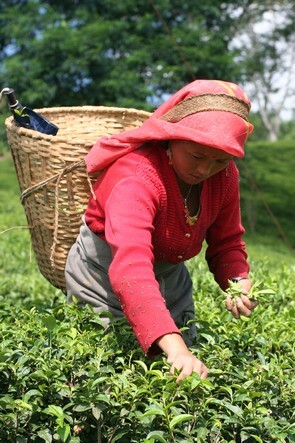 This plucker dressed all in red and wearing her apron, is taking great care as she plucks the most delicate leaves of the tea plant before she places them in her basket. If her slender ankles appear down your chimney, make sure you give her a warm welcome and put the kettle on. It’s time to honour the contents of that famous basket: it’s time for a cup of tea! Tasting tea is a bit like tasting wine. You take some of the liquid in your mouth and swirl it around gently. Then comes what we call “retro olfaction”: you exhale air through your nose, directing the aromas towards your olfactory bulb. With your head slightly lowered, your cheeks sucked in, you hold the liquid around your tongue and inhale through your mouth several times. By exhaling this air out through your nose, you increase your olfactory capacity to its maximum. We use this method to enhance our assessment of a tea. 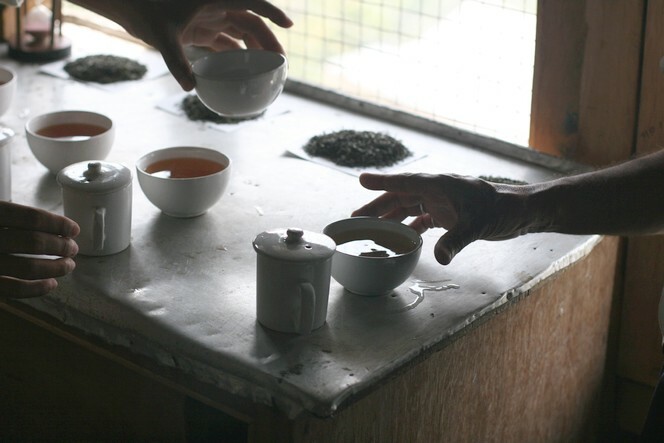 It’s necessary when you want to describe a tea’s aromatic profile, for example. Here, with one of his assistants, is my friend Anil Jha in action. His Turzums and other Sungmas have acquired an excellent reputation. I know that your main objective at the moment is to wrap your purchases so they are ready to go under the Christmas tree in a few days’ time. Well, in China there’s a tea called Pu Erh which requires wrapping with just as much care. 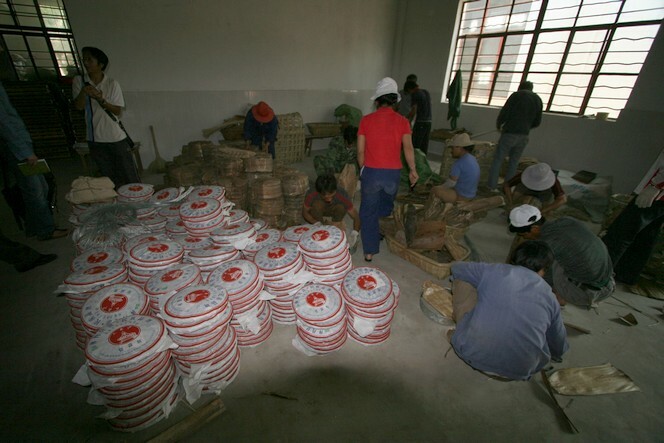 Pu erh can be bought loose, but it is mainly found in the form of a compressed cake. Having been left to dry on racks, each cake is wrapped in a sheet of printed rice paper, as you can see in this photo. 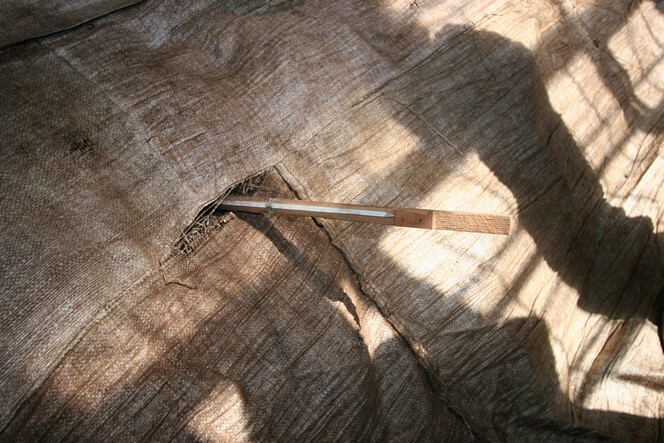 The protected cakes are then wrapped in groups of seven in a dried banana leaf. The tea is then ready to embark on its journey and arrive with you after the festivities, which is just at the right time: in China, Pu Erh is said to lower cholesterol. Rightly or wrongly, it is sometimes known as the “fat-eating” tea. A few days ago I bought a wonderful third flush Singbulli, and this morning I have just confirmed the purchase of a Rohini, also harvested in November. The first lot only weighs 70 kilos, the second lot just a little more, and they will arrive in France in December. 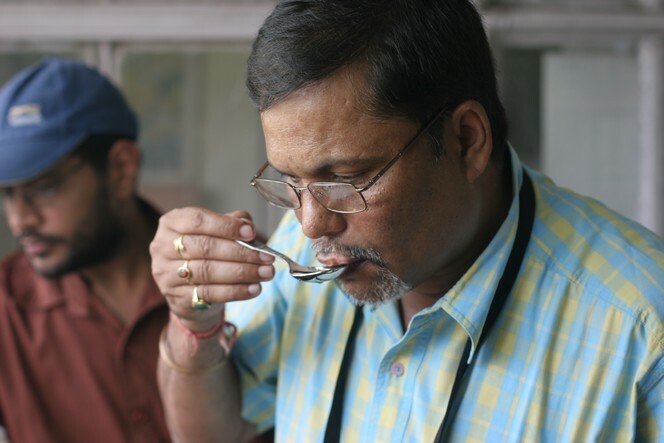 Those of you who love fine Indian teas must remember that Darjeelings produced in March, June and the autumn have very little in common. 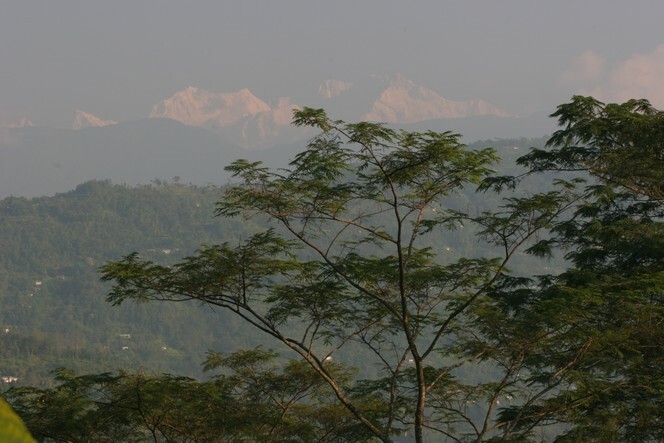 The reason is that this mountain you see here, Kanchenjunga (8,586 m), creates a great contrast with the weather conditions of the plains on the subcontinent. 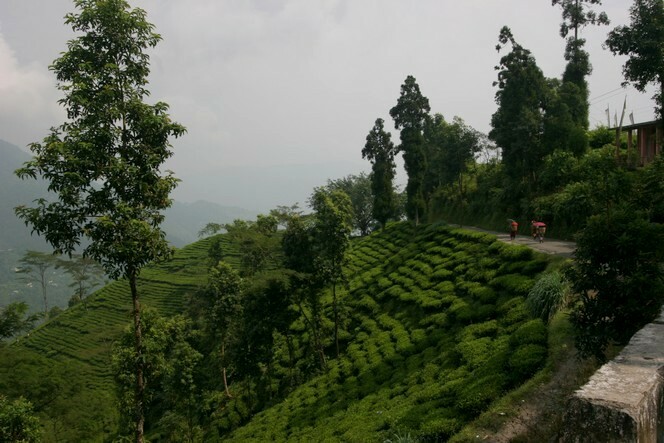 Darjeeling is one of the tea-producing regions with the most varied climate. In warmer seasons, the southerly wind brings some of the stifling heat of the plains to these mountains. On the other hand, as winter approaches, the peaks make their presence felt, the sky becomes clear and the temperature drops. 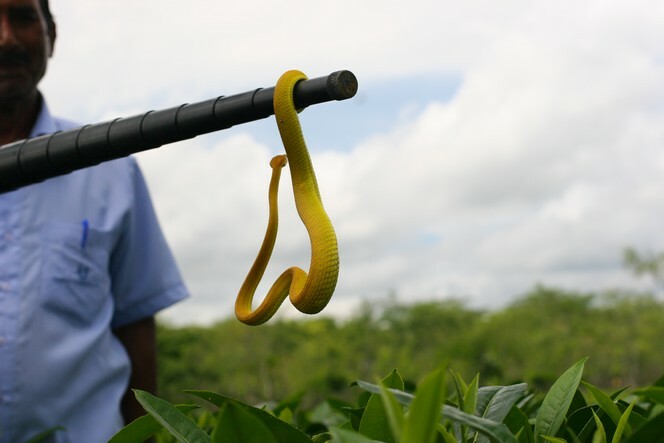 And the growth of the tea plants gets slower and slower, which is another reason for the variations in their flavours. A few weeks ago I introduced you to a creature which, while not exactly loveable, is highly admirable. On my French blog, someone said it might belong to the Nephila family, others said it could be one of the Theridiidae or Nicodamidae families. After seeing the many comments you left, I’ve decided to introduce you to another creature today. Equally elegant, I encountered it recently after it slid silently between the branches of a tea bush, just level with my waist. Tea bushes are planted close to each other to make harvesting easier, which means that when you decide to venture into the middle of the field, your feet are completely hidden from view. So you walk looking straight ahead, moving as best you can. You don’t take any notice of the many beasts living in these humid conditions. Here in Assam, while I was holding back the branches of the shrubs to clear my path, the man behind me stopped me suddenly because he’d seen something yellow near my left arm, undulating beneath the foliage. Once I’d got over my surprise, I turned my head slowly, moving as little as possible so that the animal would never imagine I was anything other than an ordinary tree trunk, to avoid stressing it unnecessarily. A few minutes later, my companion showed me this fine-looking snake on the end of his stick so that I could take its photo, and now I’d like to know its name. It was as beautiful as a rare jewel and as supple as a necklace, and it gleamed like gold. Before leaving us, overcome by shyness, the snake took the time to make something resembling a heart shape with its body, a way of asking us to respect all the love that nature offers us.